Does it ever feel impossible to get middle schoolers to stop interacting with classmates and focus on math? So stop trying. Convert that natural impulse to interact into productive math learning with Quiz-Quiz-Trade. Your students will be up, moving about the classroom, quizzing each other on essential math skills, and coaching and praising each other. Each set of cards focuses on a need-to-know math concept. Students each receive a quiz card. They pair up and quiz both ways, then trade cards and find a new partner to quiz. Each time they have a new partner and a new quiz question. 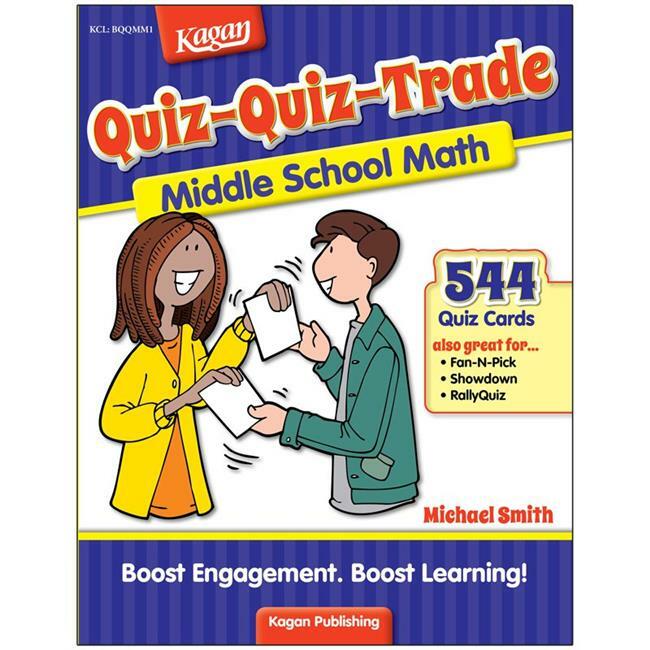 Great for practicing concepts, test prep, and for revisiting concepts throughout the year in a fun quizzing format.